If you just read the headlines and watch the reality shows, the life of a tech entrepreneur probably sounds something like this: Work hard, play hard, raise tons of money, change the world, retire early. It’s a swashbuckling, mile-a-minute joyride filled with the best and the brightest. Except when it’s not. 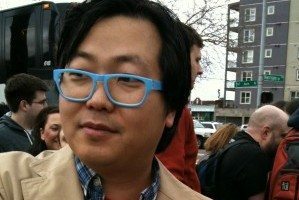 The flip side of that wide-open adventure and hard-charging culture can be an extreme sense of loneliness when things don’t work out—a spiral of dread and depression that can be fatal, as Cheezburger Network CEO Ben Huh told us this week. In a remarkably personal blog post, Huh tells how the failure of his dot-com bubble-era company Raydium left him stuck in a dark, depressed place, face-to-face with thoughts of suicide. “Was I not meant to be an entrepreneur? Will I never get to pursue my dreams again?” Huh wrote. “I spent a week in my room with the lights off and cut off from the world, thinking of the best way to exit this failure. Death was a good option—and it got better by the day. I talked with Huh Wednesday afternoon—he was in New York attending a conference—to learn more about why he wanted to make such a personal topic extremely public. Huh said that, months before Zhitomirskiy’s death, he had spoken with another Diaspora co-founder about the startup’s struggles. “It was very clear to me that they were struggling. They were struggling at a fundamental, conceptual level of who they were,” Huh says. “When I read about Ilya’s death, it was one of those things where even before the reports come out that they suspect it was suicide, you just kind of know,” Huh says. As an entrepreneur who’d been through the dark times, Huh says he wanted other young people who might be in a similar position that there was a way out—to break the sadistic comfort that depression can provide, find something to do, and get on with your life. And for all the talk of prizing failure, learning from mistakes, iterating, and moving on, Huh says, the entrepreneurial culture doesn’t do enough—at least publicly—to confront the obvious dark sides of crashing and burning along the way. A day after the post went up, however, the positive responses were flowing in. Huh says people who read the post were sending thanks for his story to the Cheezburger Twitter account, with some saying they also had struggled with depression. Entrepreneur Dan Shapiro, now at Google after its acquisition of Sparkbuy, was among the people giving Huh public kudos for sharing his tale.